As we mature, our needs change. The things that were once simple to perform become complicated. When you give us a call, we’ll develop a personalized plan for you that combines any of our services you need. 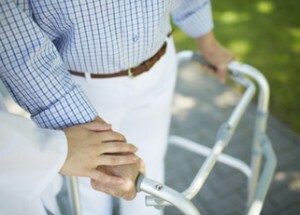 Preferred Care at Home’s personal care can mean the difference between remaining at home and moving to a care facility. We want to make sure you stay home, safe and happy, for as long as possible. We also help you maintain independence. You’re in control. We’re just there to help and guide. To learn more about our compassionate, experienced caregivers, please watch this video about our seven-step screening process. Preferred Care at Home was founded by a husband-and-wife team who have been providing home care services for almost 30 years. They strive to make quality care affordable to everyone. Caregivers are available for as little as one to as many as 24 hours. To learn more or to develop the personal-care plan that fits your needs, please contact us today to experience the Preferred Care at Home difference.